Energy healing works with the body's natural systems to remove blocks from your energy centers, called Chakras. Applying the channeled energy into your body stimulates you to release negative blockages; enhancing energy flow, and begins the process of self-healing. Many of today's hospitals have added these practices as a part of post-surgical care. It helps to relax and calm anxieties patients may have. Currently, I practice: Usui Reiki, Tibetian, Kundalini, Karmic, Shamanic Soul Retrieval, Elenari Healing, Reiki Crystal of Awakening, Chelation, calling of spirit master healers\guides\angels, and focused intention. 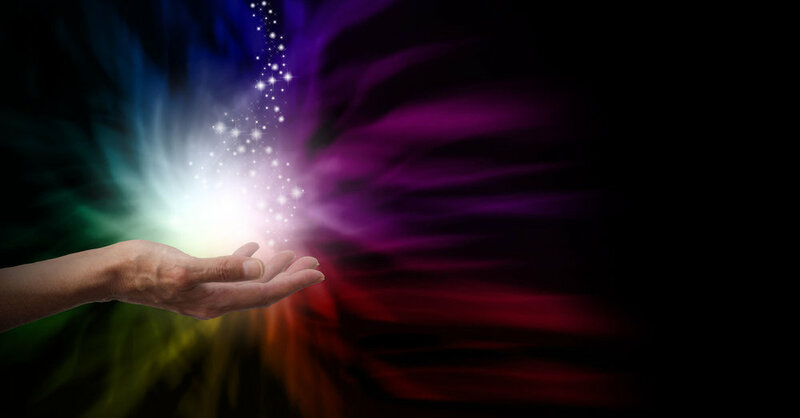 Reiki is a therapy often described as palm healing or hands-on-body healing, in which a practitioner places hands lightly on or over a client's body, to facilitate their process of healing. Reiki combines the Japanese and Chinese word-characters of "rei" (spiritual or supernatural) and "ki" (vital energy). In a session I use a combination of energy healing methods including sound and crystals to facilitate your healing process. My first energy healing training was the Usui Reiki Master method, which I received in 2006. I received my certificate and attunements from Lakeland Community College in Kirtland, OH. Learning and training is a constant for me as I wish to learn anything that may help you heal.